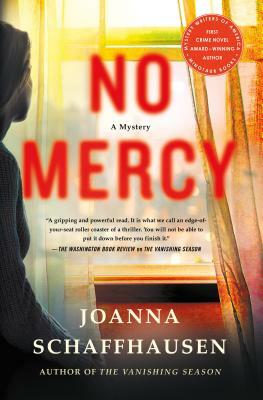 I was hooked on No Mercy as soon as I read the opening line: “You kill one guy, one time, and suddenly everyone thinks you need therapy…” The protagonist, Ellery Hathaway, a police officer, is famous because she killed a particularly brutal murderer. He’s in prison, she’s involuntarily suspended. The author, Joanna Schaffhausen, keeps the action and adrenaline and droll wit that first sentence implies. This is the second book in a series involving Hathaway, the first is called The Vanishing Season, for which she won the Mystery Writers of America First Crime Novel Award in 2016. While dealing with harassment, unwanted attention and personal threats for her actions, Hathaway is pushed to join a group therapy consisting of other survivors of terrible crimes. As she and an FBI profiler, Reed Markham, began to investigate the cases of two of the survivors in the group they find things are not as simple or clear as one would expect. There are many twists and turns as well great character development. The author has a doctorate in psychology. Previously, she worked as a scientific editor in the field of drug development. Prior to that, she was an editorial producer for ABC News, writing for programs such as World News Tonight, Good Morning America, and 20/20. She agreed to do an interview via email. Joanna Schaffhausen: Ha! Well, they say you need to hook readers early with a killer first line. I just took that literally. More seriously, the audience has to get to know Ellery Hathaway quickly, and this line captures her thinking at the start of the book. Part of the mystery is whether she will still feel the same by the end. Scott: How did you come up with this story? Joanna: I asked myself what would be next for Ellery after the events of The Vanishing Season. Most police departments now mandate counseling for officers involved in shootings, especially if they result in the death of a human being, so it made sense that she would be required to do some introspection. Ellery, though, has survived to where she is largely by blocking out unpleasant events, so she’s not excited to talk about her feelings. So then I asked what she’d be doing instead, and the answer was obvious: she’d start investigating her fellow support group members. Scott: I, and I assume many other readers of your books, find police officer Ellery Hathaway a fascinating character, someone who shot a murderer in cold blood but refuses to apologize. How did you come up with her character? Joanna: Ellery survived a notorious serial killer as a teenager and has to live out her days in his shadow. This premise is loosely based on Carol DaRonch, who survived her encounter with Ted Bundy back in the 1970s. Bundy was executed for his crimes in 1989, but for Carol, he never dies. The public appetite for Bundy stories means that Carol gets to see his face on magazine covers, has to turn on the TV and see who is playing her in the latest movie adaptation, and field endless messages from kooks and creeps. In the fictional world, Ellery’s had enough of other people dictating her life. She wants to be a force for good in the world, but she doesn’t like letting people get close to her, emotionally or physically. She has her own moral code and isn’t easily dissuaded from it. Scott: How would you describe Ellery and FBI Profiler Reed Markham? Joanna: Ellery has a passion for justice and is especially moved by women and children in harm’s way. 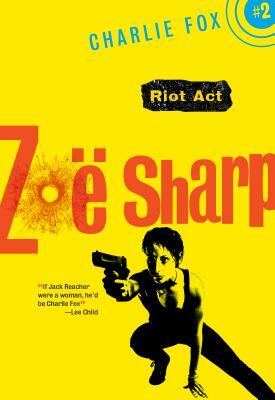 The fact that she survived a brutal experience at the hands of a serial killer has given her the sense that she lives on borrowed time. She will risk her life without a second thought to save others. 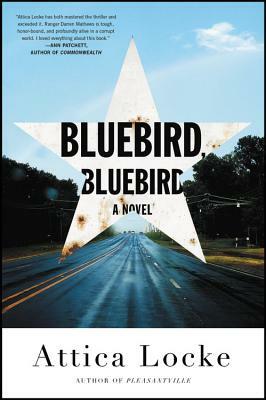 Reed Markham is biracial and was adopted by a wealthy white Southern family after his Latina mother was murdered when he was a baby. He is empathic, intelligent and, as Ellery notes, lives his whole life on the premise that he makes a difference. He rescued Ellery as a young, green FBI agent and rocketed to fame on the back of the case. The world told him that he was a big hero, and for years, he believed it. Reuniting with Ellery has shown him all the ways he didn’t save her, and thus, it’s like a wound for both of them that never completely heals. However, they are also the only two with this precise shared history, the only two that see each other clearly in the storm cloud of a famous story, so they remain drawn to each other because of this. Scott: How has your background – which included studying neuroscience, a doctorate in psychology, working for news programs – helped you with this book and this series? Joanna: The brain is so endlessly fascinating! Both neuroscience and psychology have devoted much research to criminal deviance, and these articles make for fascinating, if frustrating, reading. Behavior as complex as violent crime will have multi-factorial roots, including genetic, developmental, and environmental origins. Studies provide insights into why some people turn violent, how they justify this behavior to themselves, and how investigators might use this knowledge to stop them. However, none of it provides definitive answers. There is so much that is unknown, and this gray area provides fertile ground for writing. Working for the news taught me so much. There are whip-smart, curious, and talented people at all levels, but we’re all feeding the same hungry beast in the audience. The beast wants sensational headlines and crazy, entertaining stories. It wants the stories now, in bite-size form. It can be a challenge to balance the truth, which is often messy, boring, and long-winded, with a format that demands a fast, digestible narrative. Scott: I understand you get some of your idea from true crime stories. What is it that you take away from those stories? Joanna: Partly, I am interested in the puzzle aspect. How did the investigators piece together the clues to find the suspect? This can provide a road map for similar fictional cases. I’m also interested in the psychological and emotional impacts of crime, so I want to know what it felt like to be involved in the cases. Yes, from the victim’s and investigator’s sides, but also people who were falsely accused, people who were related to the perpetrator, people who were witnesses, etc. I am interested in how all the pieces fit together into one story. Scott: What did you learn from writing fan fiction for the X-Files? Some stories are more popular than others, and the reasons are mysterious. I have works that people read once and yawned, and I have others I receive daily letters about, even after twenty years. I couldn’t tell you when I was writing them which would be the popular works and which would be the duds, nor could I do anything to force the issue. The only thing I could do is to write the next story. This is a freeing concept if you embrace it. Scott: What do you want readers to take away from your book? Joanna: First and foremost, I hope they are entertained. I am a storyteller at heart. Beyond that, Ellery and Reed’s stories are largely about identity. What are the defining factors that make us who we are? What are the stories we tell ourselves about who we are, and how do they change over time? One of the threads through all the books is that we have more power over our own stories than it often feels like, and I hope readers embrace that too. Scott: What can you tell us about the next book in the series, The Neon Boneyard? 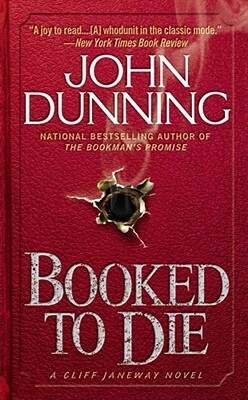 Joanna: Reed receives shocking information about his family at the end of No Mercy, which sets up his quest to learn what happened to his murdered mother. She was stabbed to death in Las Vegas when Reed was only a baby, and the killer was never caught. Reed and Ellery set out for the neon lights to see if they can unearth the truth after all these years. Joanna: I’m working on another serial killer tale. An amateur sleuth trying to find a serial killer who disappeared twenty years ago ends up dead in the same fashion as his victims. Did she get too close and force him out of hiding, or did someone else in her life use her unusual hobby to murder her? Scott: What’s a question you wish you were asked more often but haven’t been? Here’s your chance to ask and answer it. Joanna: How many unpublished or abandoned manuscripts do you have? At least a half dozen completed original novels and a handful of partial manuscripts. Some of these were written after I published my debut book, which shows you that publishing is not some magical wand to forever success. This doesn’t mean that all these other manuscripts were failures, either. I learned from them and cannibalized some for other works, and hey, maybe one or two will even resurface later in another form. Writing is about trying new things and if one of those attempts doesn’t yield immediate success, it doesn’t mean you failed as a writer. You take what you can learn from that project and move onto the next one.